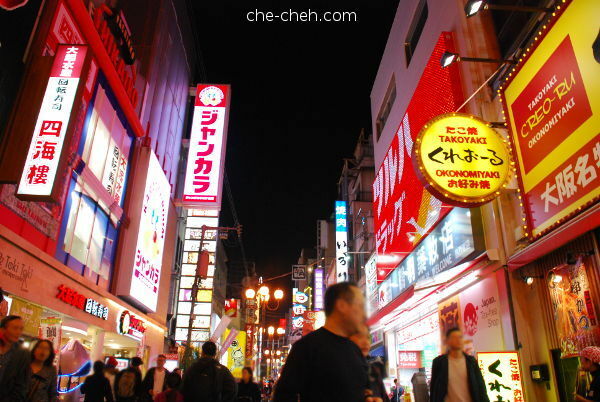 Check out Osaka Day 1: Ana Crowne Plaza & Sennichimae Doguyasuji if you have not. I woke up rather early on day 2 in Osaka. 6.30am to be precised. For breakfast, I ate sweet potato bread from Takaki Bakery (bought from 7-11 the previous day; so yummy!) and sencha (complimentary from hotel). The best part? Enjoying the morning window view while having breakfast. 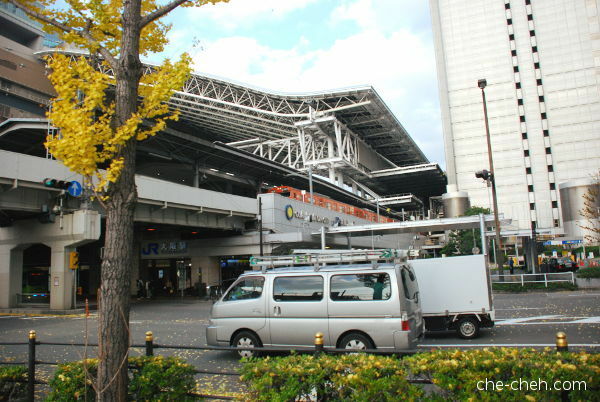 At 11am, we ride the free Ana shuttle bus to Osaka Station. This is Dojima River. Taken from bus. If we were to walk to subway, this is one of the routes. 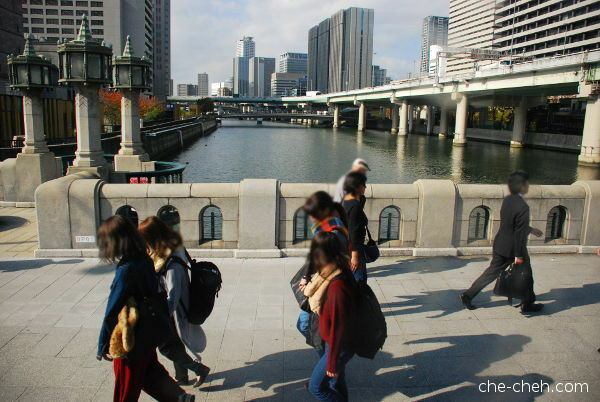 The buildings on the left are at Nakanoshima, a narrow island just like Île de la Cité, Paris (as mentioned in day 1 post). And that’s Dojima River. 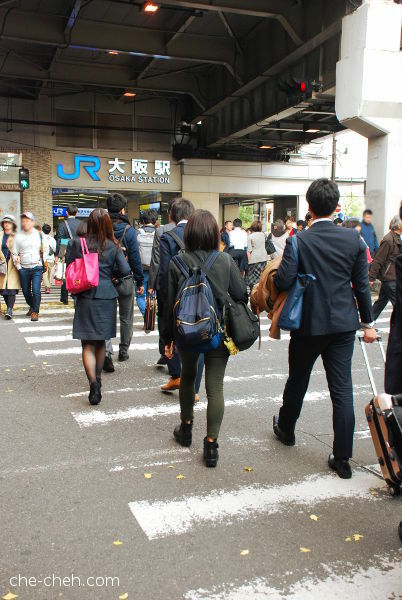 Since the subway and train stations are nearby, there are many salaryman walking here. We arrived in Osaka Station at 11.25am. 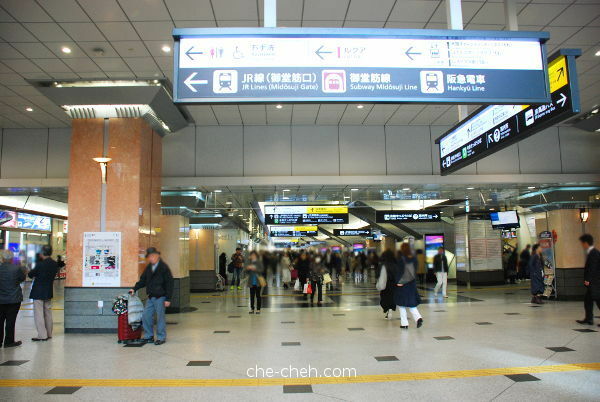 Why are we back at Osaka Station (since we arrived here yesterday from Kansai Airport?) Well, we have a couple of missions to accomplish here. First up was to fill up our stomach at Kiji, an okonomiyaki place that were awarded with Bib Gourmand by Michelin Guide. Finding this place was difficult but thankfully a Japanese man helped us. Click the link to read about the story and my review. We also sampled some anpan (Japanese sweet bread) from Kokoroniamai Anpanya after our yummy lunch at Kiji. Next, we head to JR ticket office to buy advance Shinkansen tickets for our soon-to-come trip (Kyoto to Mishima). We could actually buy the tickets on the day we travel but I prefer buying in advance… for peace of mind and also because we wanted to make sure we get to sit together. The best thing is, they allow you to change the departure time (only once) in case you have change of plan. So win-win. 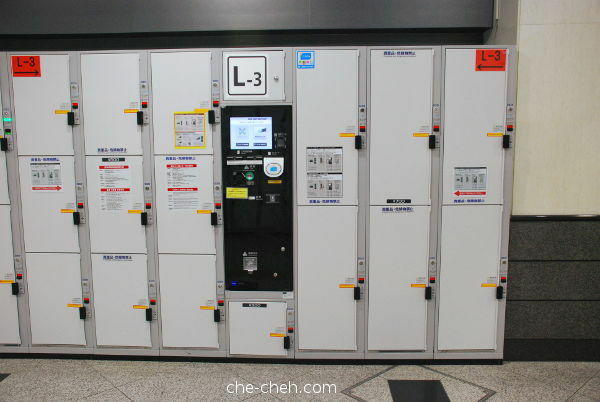 There are plenty of lockers at Osaka Station. They come in 3 sizes priced at 300 yen, 500 yen and 700 yen for the largest locker. You can pay with coins, banknote or ICOCA card. 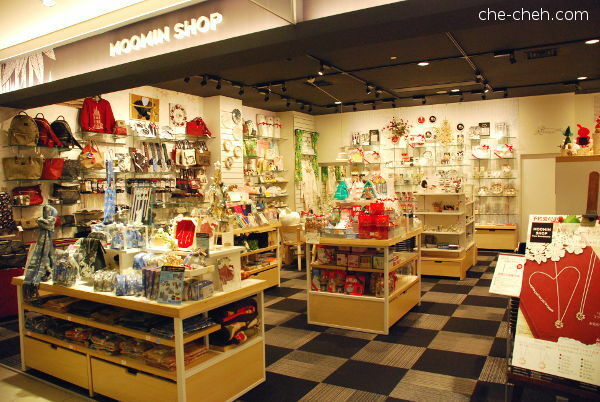 Our 3rd mission was to visit the Moomin shop. I’m not a fan but my sis is. 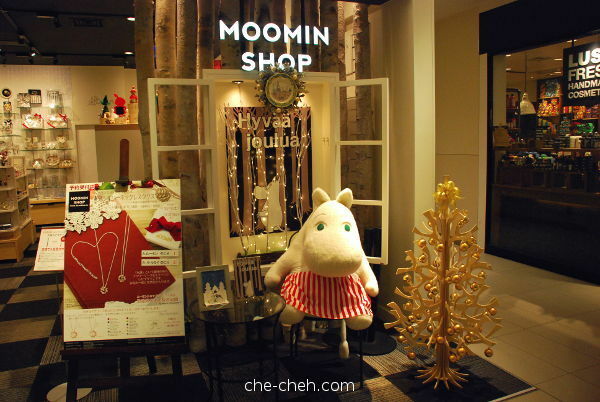 But I do find the characters cute especially Moomintroll. and Tsujiri 辻利 for soft-serve ice-cream. 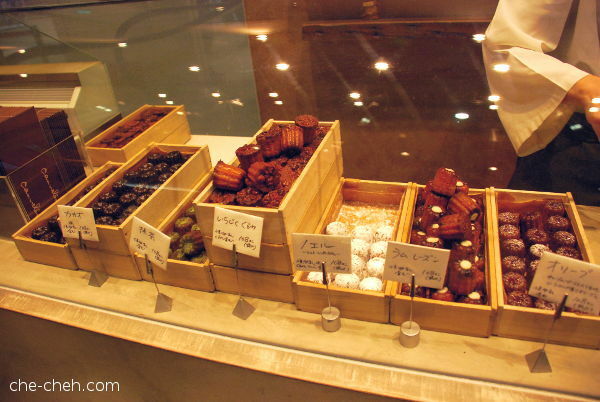 It’s located at Ebi Marche (in Osaka Station). 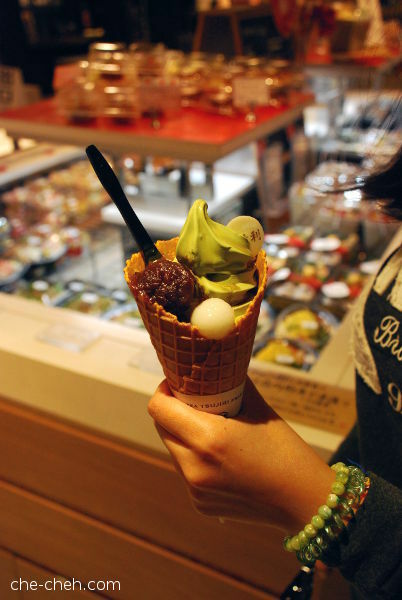 This one is called Tsujiri soft-serve ice-cream kyo-parfait; comes with matcha soft-serve, mochi, sweet bean paste and brown sugar syrup. Though I think they forgot the brown sugar syrup in this one. LOL. Cost 594 yen. While waiting for Ana shuttle bus (frequency 30 mins) outside Osaka Station, we check out the nearby area. Heaps of people crossing over to Osaka Station. This station is operated by West Japan Railway Company (JR West) hence you see the JR initial. 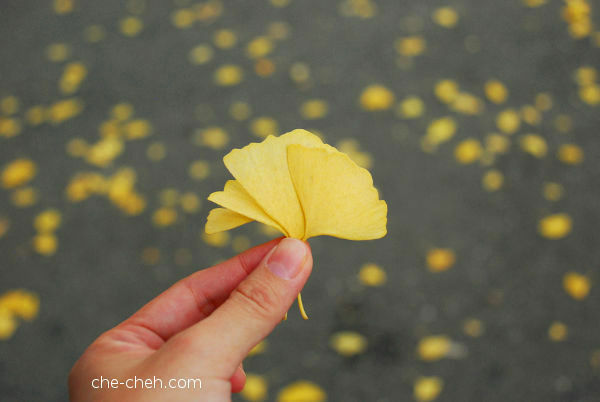 A rainbow wall and golden ginkgo trees. So pretty! 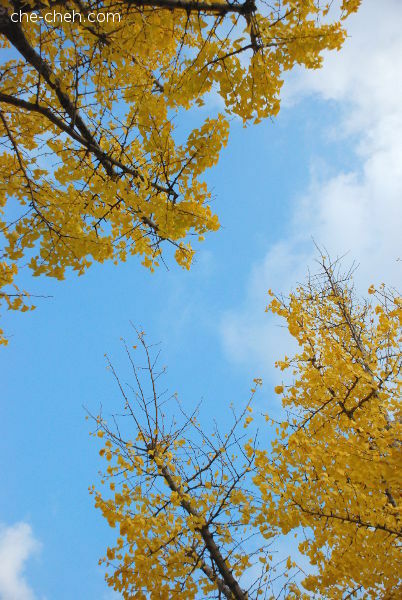 Blue sky and yellow-gold ginkgo leaves. 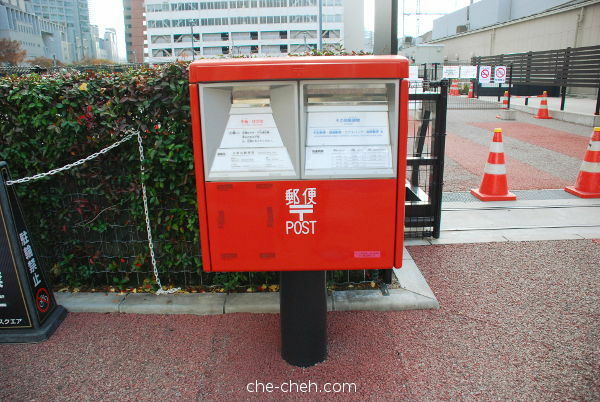 Post box near Osaka Station. 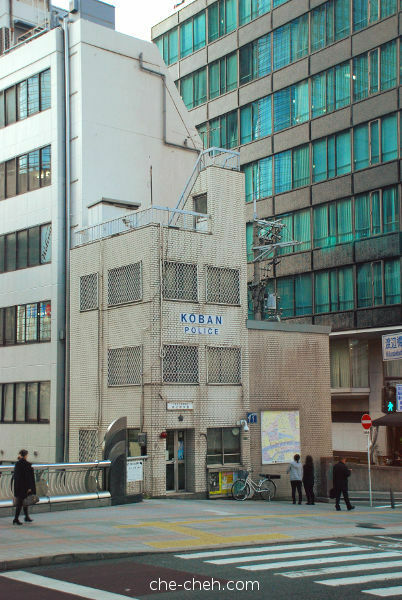 Koban is a police station. Saw this on the way back to hotel while riding the 3.15pm shuttle bus. After resting a bit we came out again at around 4.20pm and walked to Yodoyabashi Station (subway). 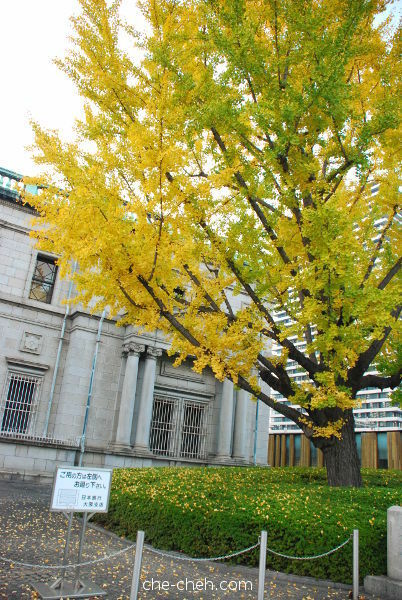 A humongous ginkgo tree in front of Bank of Japan (Osaka branch), Nakanoshima island. 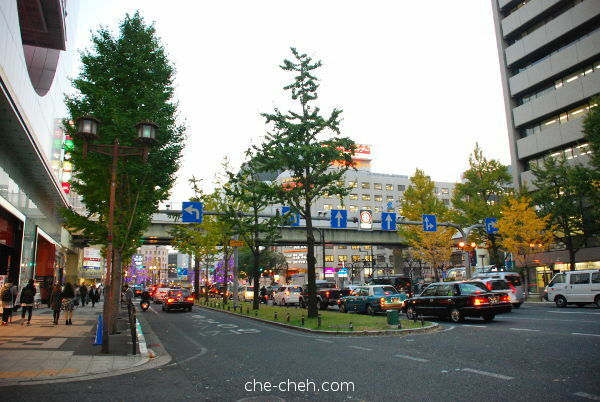 This is the scene we get on the way to Yodoyabashi Station. 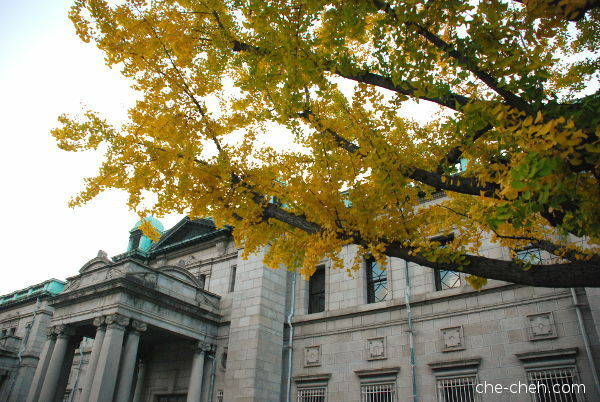 I love the architecture of the Bank Of Japan 日本銀行大阪支店. This stretch of walkway is my favorite and I enjoyed walking pass here for 3 days. If I’m not mistaken, this building is no longer in use and tourist can visit this building (by appointment). The new Bank of Japan is behind it. 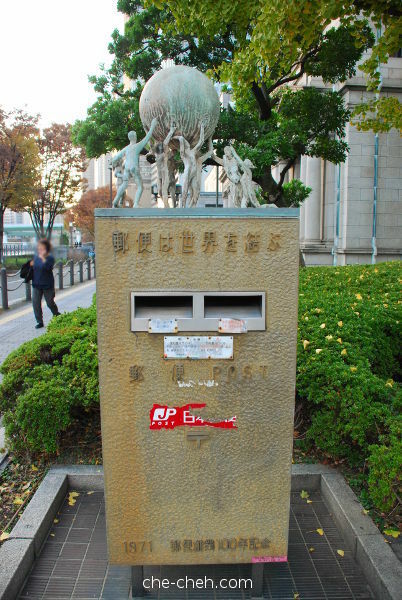 A very old post box just beside Bank Of Japan. 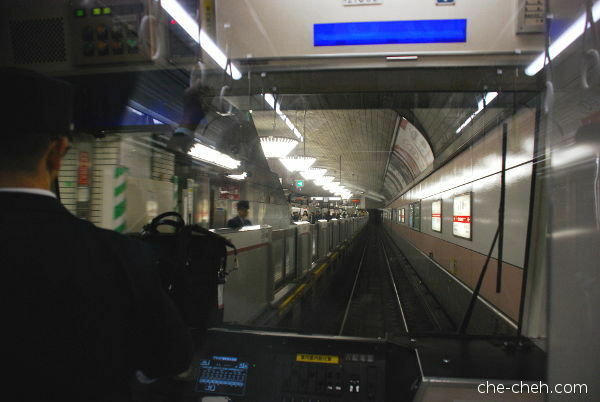 On board the subway train. Took the last car. 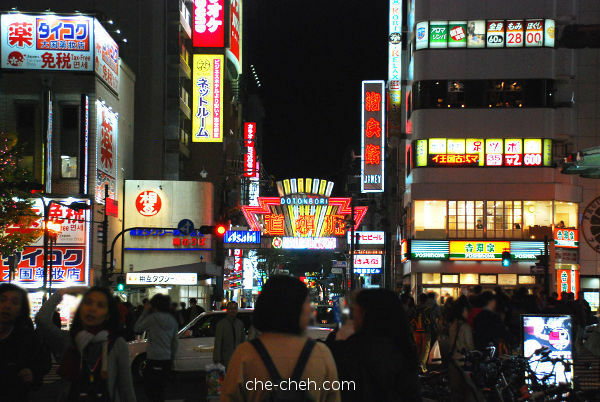 We arrived at Namba Station and walked to Kuromon Market. 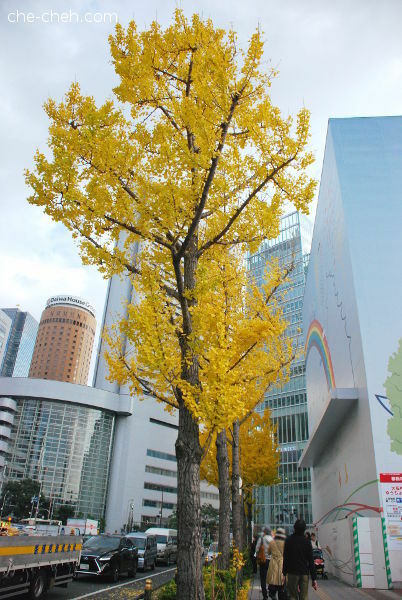 This is the 4.50pm view of Midosuji Avenue and it’s lined with ginkgo trees all the way from Yodoyabashi Station to Namba Station. 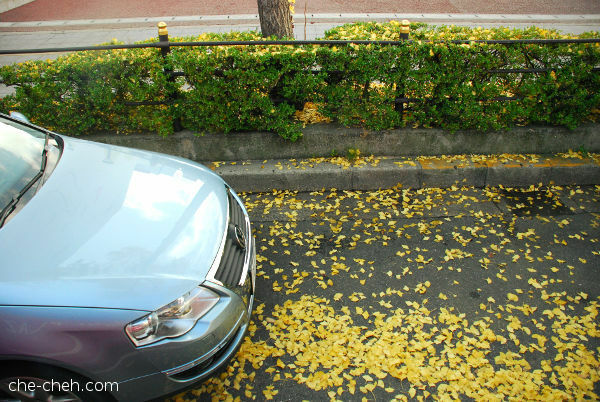 During the day, you can enjoy the golden ginkgo trees view while at night, the trees are illuminated with lights. 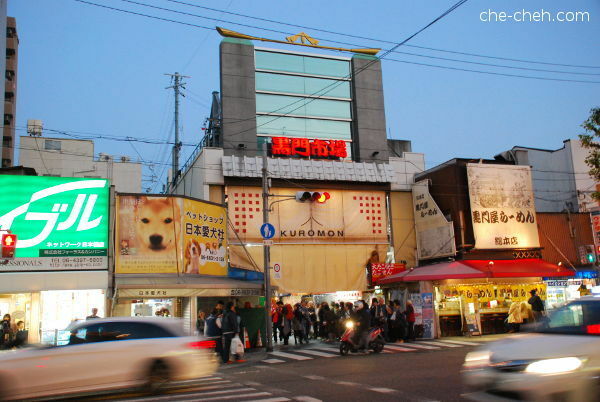 Kuromon Market 黒門市場, 7am-6pm daily. 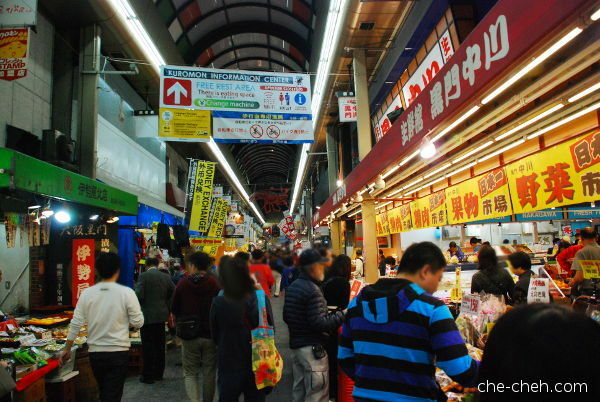 It’s a very old covered market selling seafood, vegetables, clothes, grocery, raw and cooked food. There are also restaurants in there. We arrived here at 5pm and the market closes at 6pm. With only 1 hour to see everything, we quicken our pace and visited every nook and corner. Some stalls have already closed for the day. Still it was an enjoyable visit. 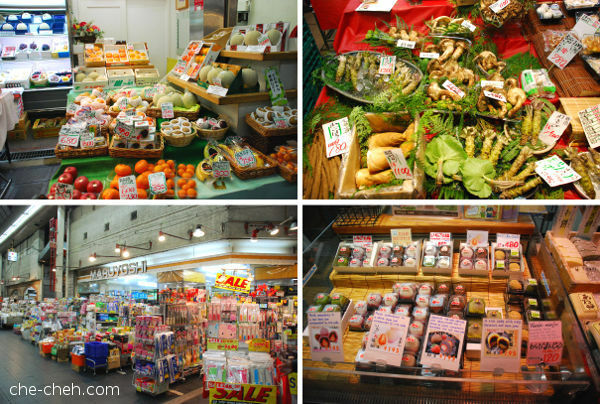 Clockwise from top left: beautiful looking fruits, horseradish (wasabi) and super expensive mushrooms, yummy mochi (rice cakes) and a shop selling household items. 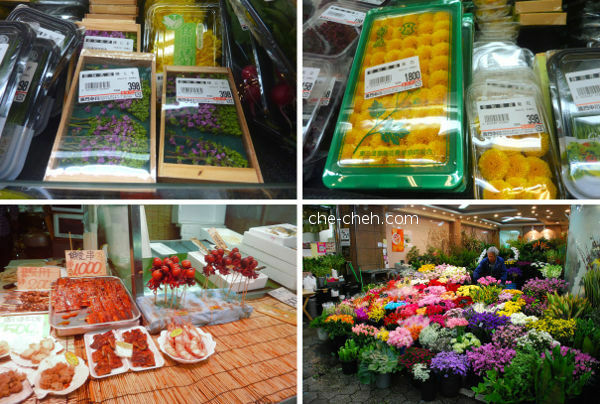 Clockwise from top left: I think those are edible flowers (top photos), a florist and lastly a shop selling quail egg stuffed in octopus and also unagi. We spent the most time at the supermarket on the right called Kuromon Nakagawa 黒門中川. There are many locals shopping here. 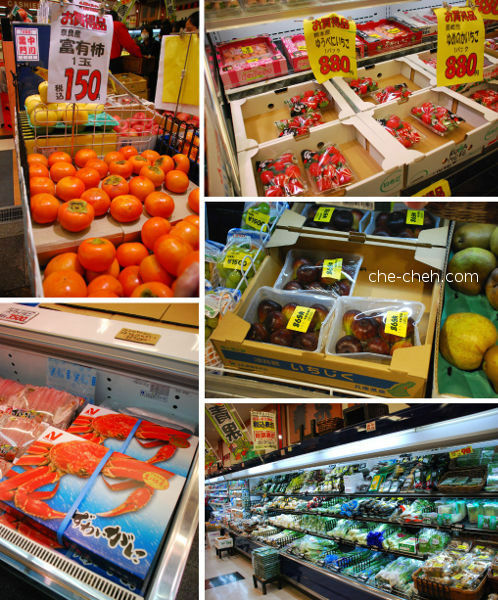 Fresh food at Kuromon Nakagawa. We bought figs and persimmons. If you squint your eyes, you can see white strawberry on the top right photo. White strawberries 白いいちご @ 4500 yen per pack. This one is from another stall. The first time ever we saw live white strawberry. And these white strawberries are from Kuromon Nakagawa @ 2980 yen per pack. Cheaper by a lot right? We were contemplating whether to get these or not. 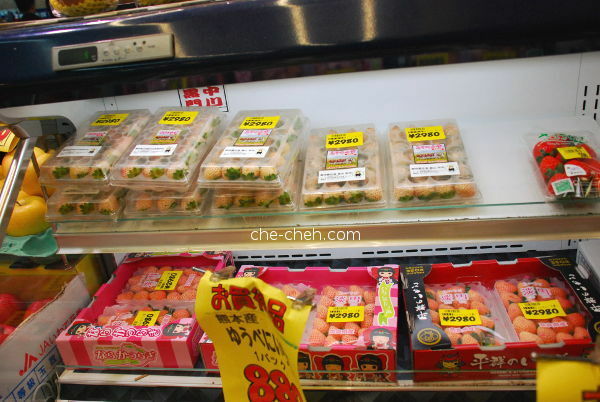 Problem was because we didn’t know how to read Japanese we thought the 4500 yen above is for two packs. Therefore 2980 yen for one packet is expensive. Close up of the white strawberry. 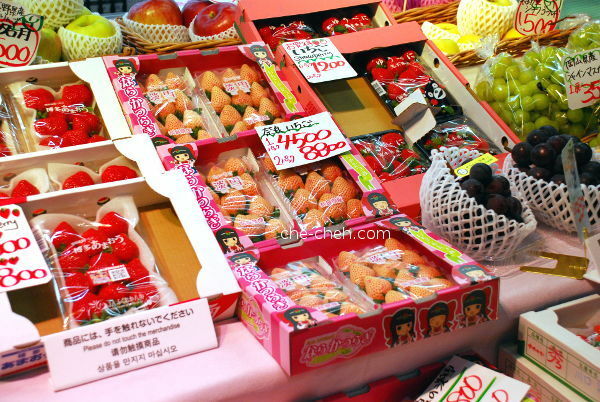 Also because we read these are Nara’s white strawberry, we figured we can get ’em cheaper in Nara. But in the end we didn’t see any in Nara. LOL. Lesson of the day… just buy it! 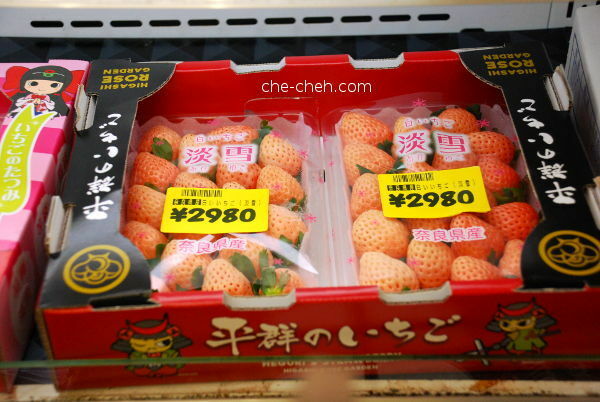 2980 yen for one packet which has about 18 pieces of white strawberry. Each strawberry cost about RM6.60. Considered okay la since it’s a really rare variety. Right? 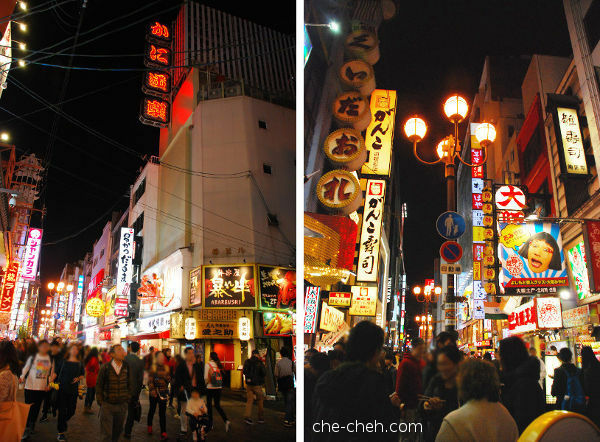 We left Kuromon Market at 6pm and walked to Dotonbori. What a busy place. So many things to eat here. And the signboards are indeed attraction of their own. This is Shochikugeino Kadoza-Hiroba. Sort of like hawker stalls style when I looked at it. But turns out there are more to it. 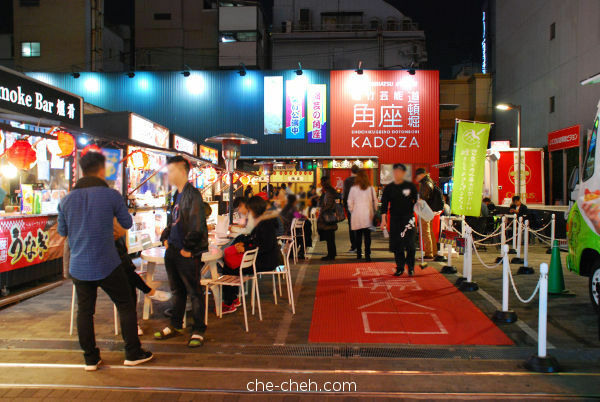 There’s disco at night and Kadoza theater according to the official Dotonbori website. 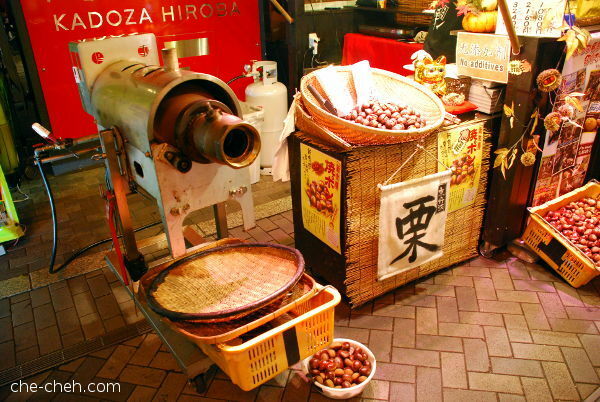 Chestnut roasting machine. Even though it’s chestnut season, they are still expensive. It’s 270g for 1080 yen (about RM40) here. 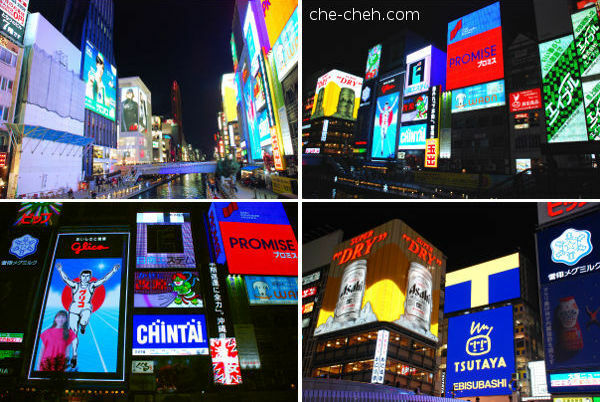 The many large signboards at Dotonbori. Crabs!!! My sis wanted to eat crabs but she is kinda stingy wanted to save money. In the end she didn’t eat any at all throughout this trip and came back and kept fussing me with “I shall have eaten it!”. Lesson no. 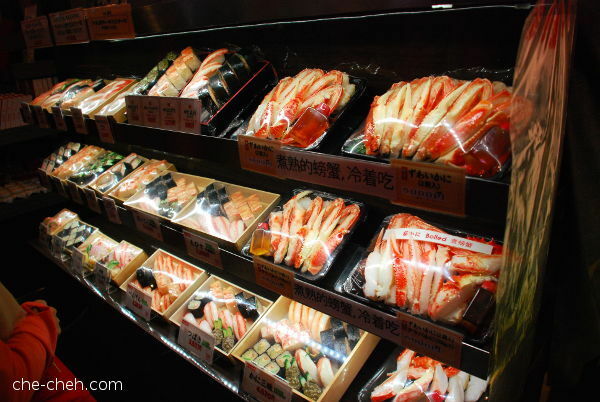 2… just eat whatever you want in Japan! We had dinner at Ganso Kushikatsu Daruma, a kushikatsu restaurant. What’s kushikatsu? Think deep-fried food in skewer. Click the link for my review. Then we tried two takoyaki shops called Creo-Ru and Kukuru. 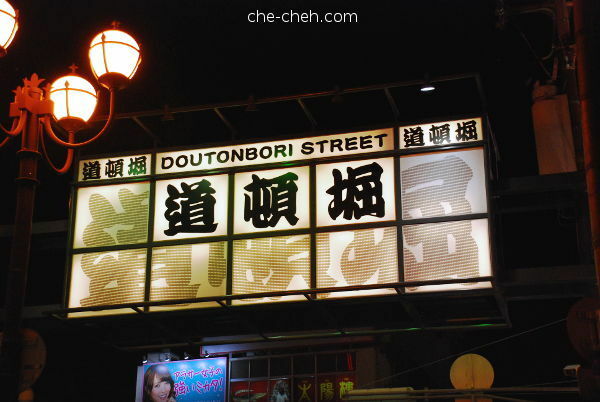 Another Dotonbori signboard with Midosuji Avenue in between us. Finally we reached the highlight of Dotonbori. 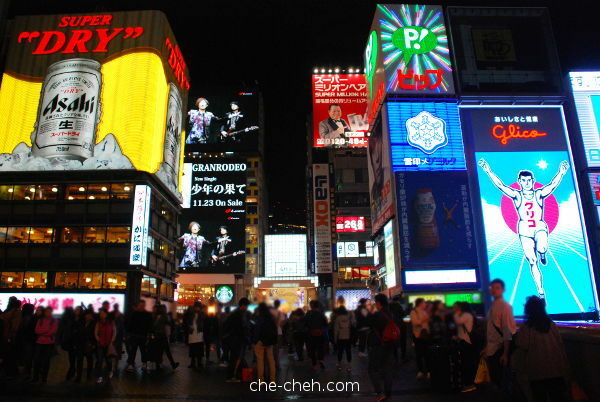 For my case, seeing these large LED signboards particularly the Glico Man signboard tells me I’m really in Osaka, baby! Yup, many people here and everyone wanted to pose with the signboards. We didn’t explore further as it was 8.40pm… shops will be closing soon (most closes at 9pm). 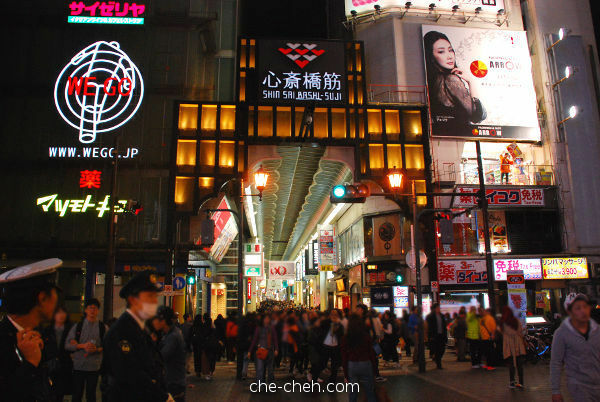 This is Shinsaibashi-Suji (located just opposite the photo before this one). 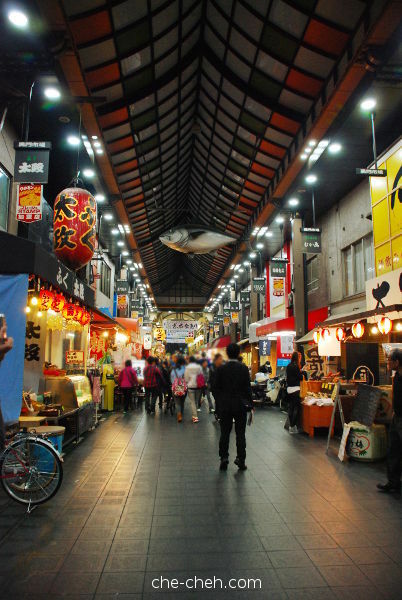 It’s a covered shopping street and my-oh-my… can you see the throng of people in there? 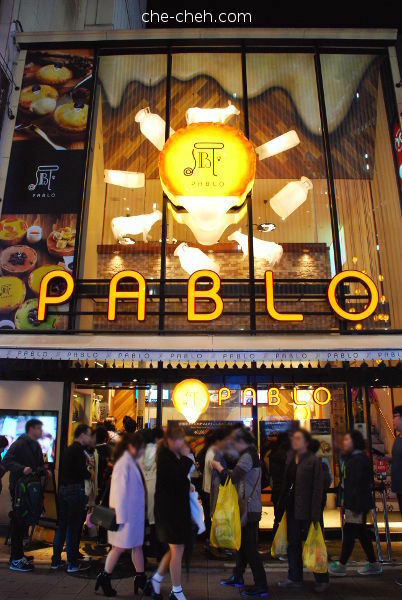 But before we leave, we spotted Pablo, the famous cheese tart shop at Dotonbori. Queued 14 minutes for it. 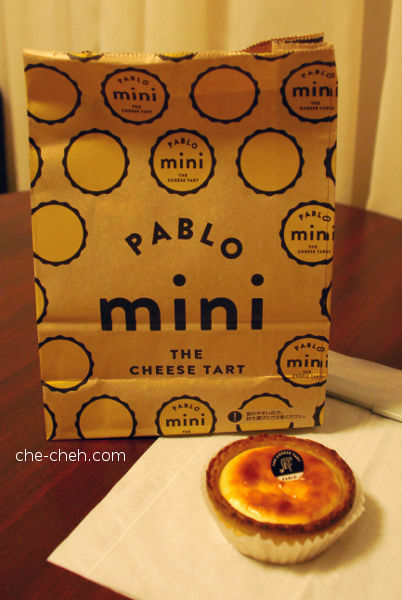 Pablo mini @ 200 yen per piece. Oh yes I love it! As you can see it’s a little wet inside (distinct feature of Pablo). The cheese itself is pleasant. To go back to Yodoyabashi Station from Shinsaibashi Station, we walked into Shinsaibashi-Suji and thankfully and also unfortunately by that time, most shops have closed and the crowds have dispersed. Unfortunately because I wanted to visit Daimaru. Stopped by 7-11 again to buy breakfast for tomorrow. That’s it for day 2. Stay tuned for day 3. A different adventure! Hi Foong, tourist spots ma. 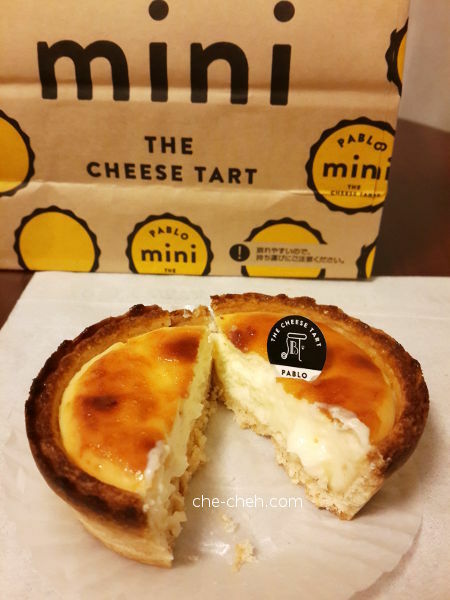 As long as you’re not a cheese tart/cake fan, it’s okay to skip it.